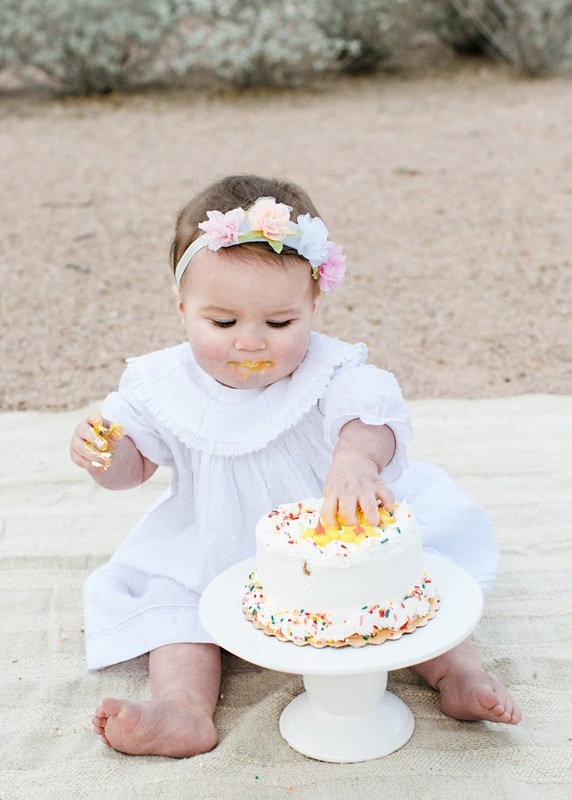 I've been simultaneously agonizing and awaiting this moment for months now – and the time has finally come. 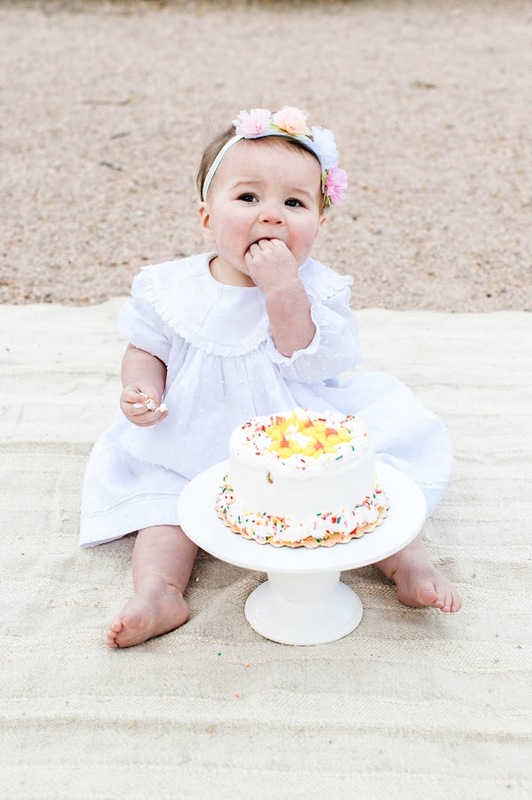 Roselyn just turned one! 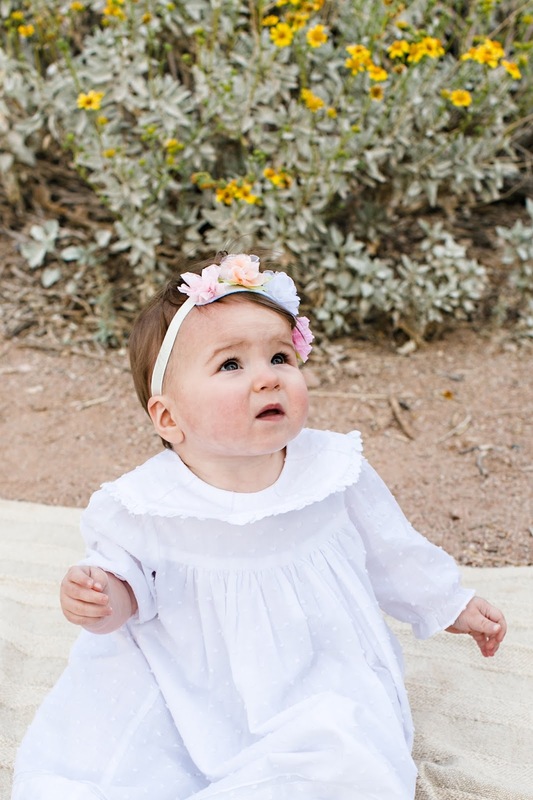 Since I found out that we were expecting a baby, family, friends, neighbors and strangers have been telling me that "babies don't keep" and to "hold onto her as long and as tight as you can." 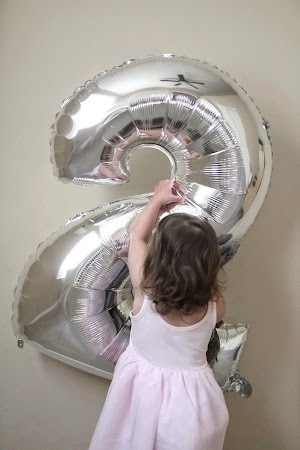 Well, now that one year has officially passed us by, I can tell you friends: it's all true. 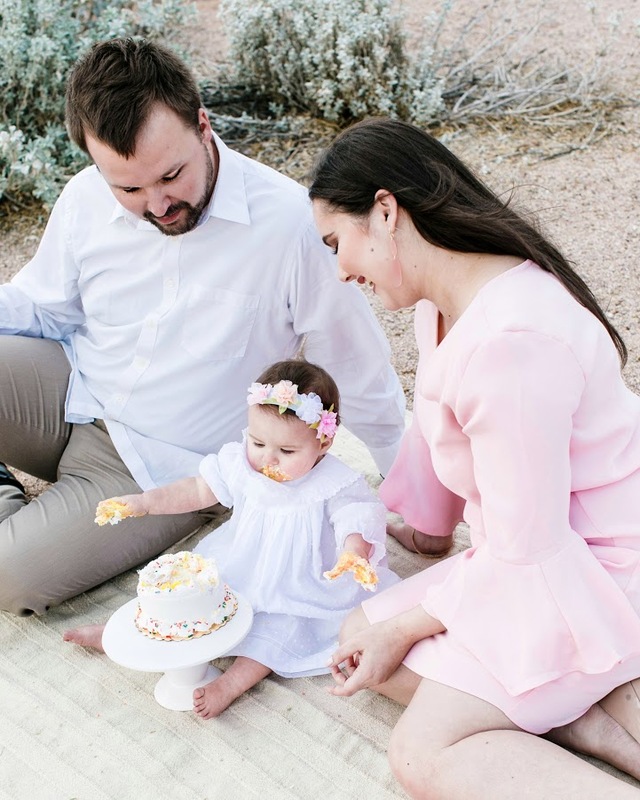 We've been asked a few times about how we've been feeling since the big day this week, and in truth, it's a multitude of emotions – something we're quickly learning is synonymous with fatherhood and motherhood. 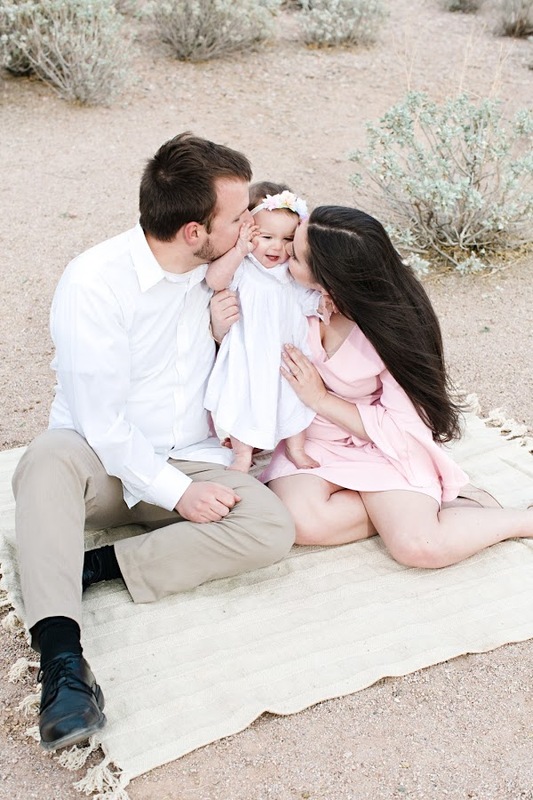 We are so excited to have a toddler and are looking forward to what this upcoming year will bring, but also truly miss the moments when we could kiss or rock our sweet daughter to sleep. 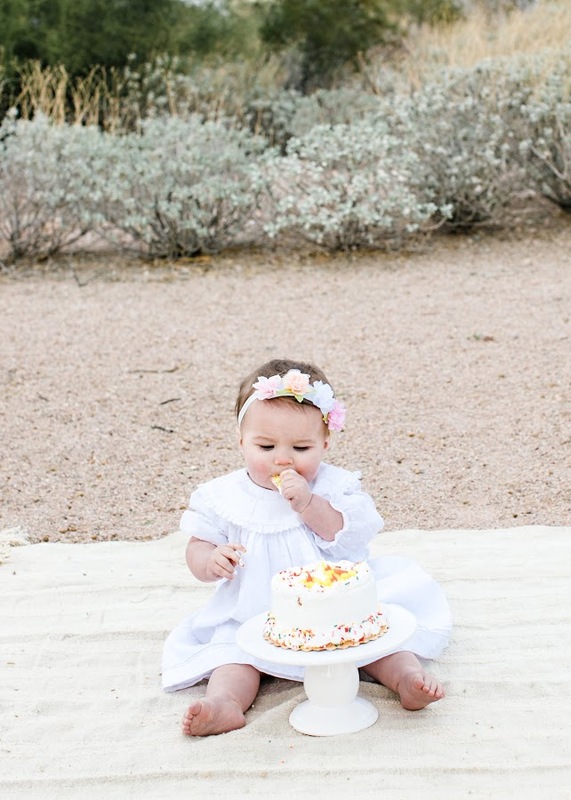 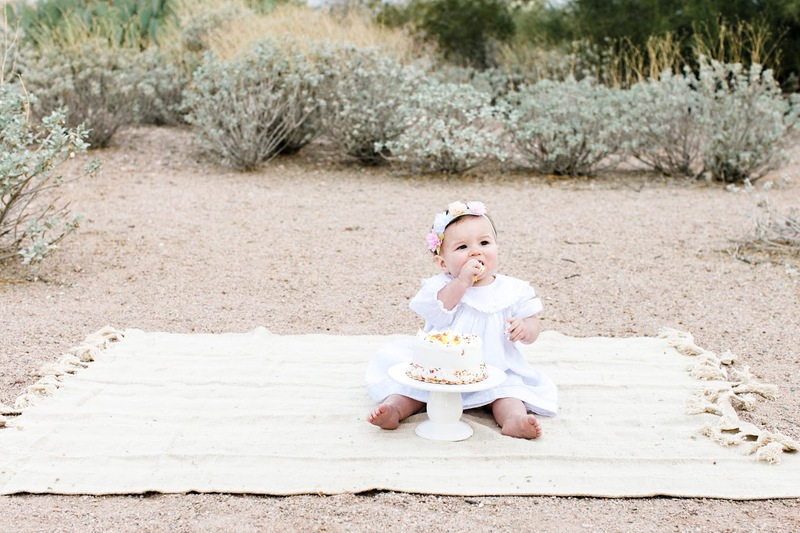 Parenting isn't for the faint of heart, but we're also learning to celebrate the big and little moments too – which is why we chose to commemorate Rosie's first birthday with a cake smash in the desert. 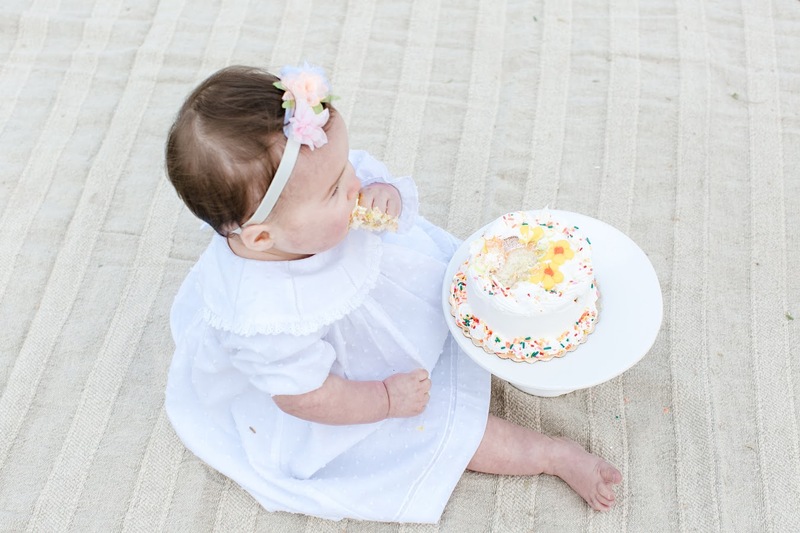 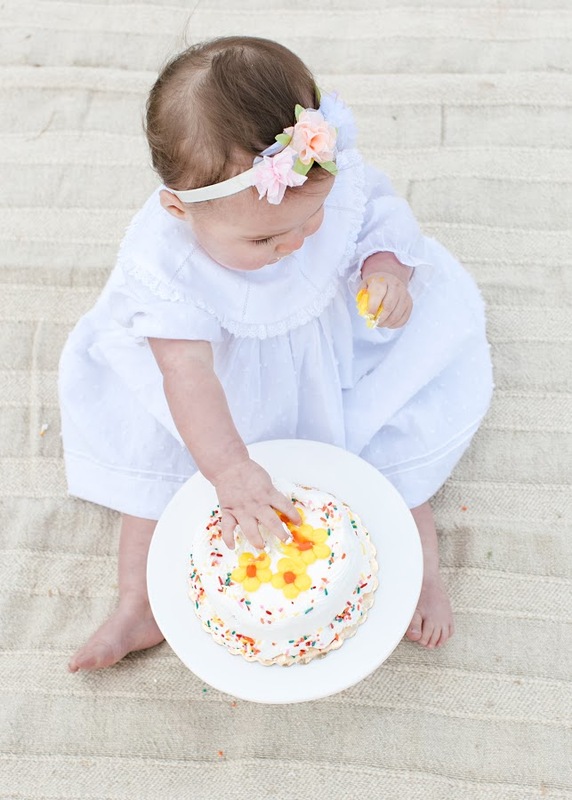 We had so much fun working with our friend Valerie, of Valerie Bolitho Photography, again and watching Roselyn enjoy her first taste of cake! 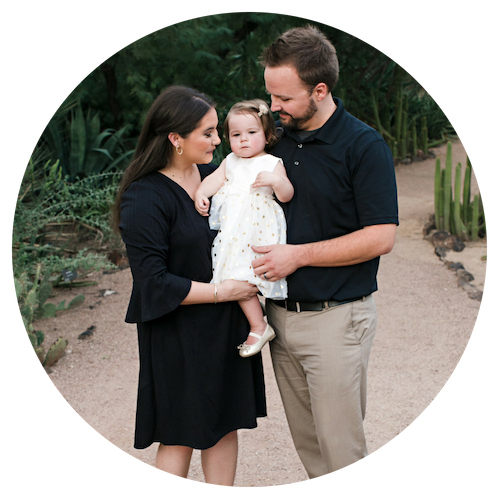 I'm the creator of Burm Voyage, a blog about balancing marriage, motherhood and travel across the U.S.